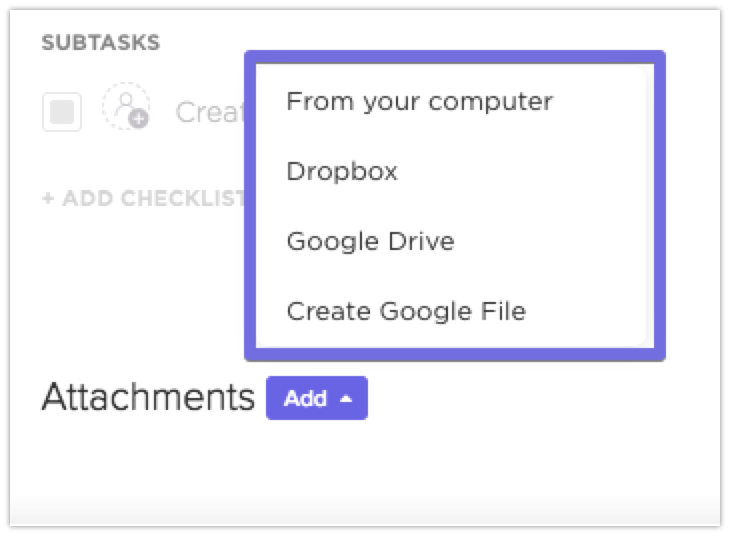 Connect Google Drive and Dropbox to ClickUp to quickly attach files and even create new Google Files from ClickUp! Cloud storage is available on Unlimited plans. 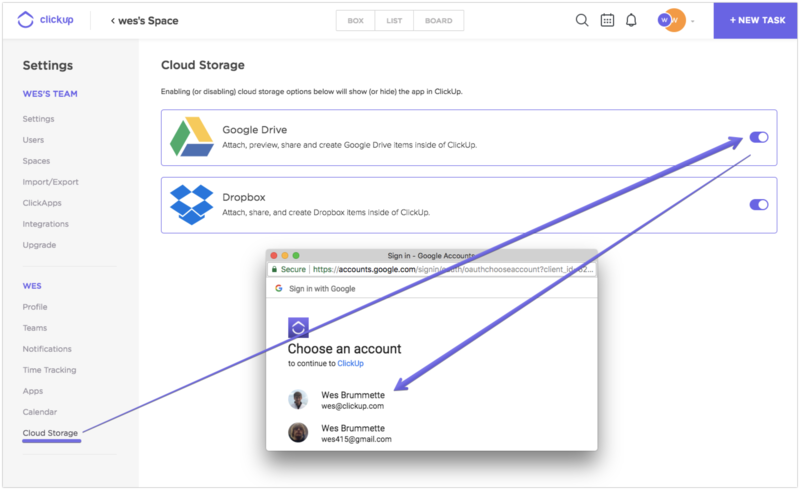 People can authorize a single Google or Dropbox account per user per team. This means, you can use a different account for each team you're on! 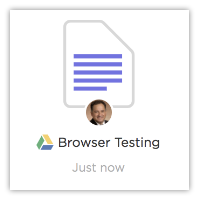 ClickUp automatically unfurls links to Google Drive or Dropbox files to quickly attach the link to your task. Clicking Create Doc will automatically create the file in Google Drive and link it in your task! Why is the Unlimited Plan Required? ClickUp's business model is centered around storage. With cloud storage, a team would never reach their storage limit rendering our business ineffective, and we need to stay in business so you can keep enjoying ClickUp! What other actions would be helpful from our cloud storage integrations? Leave a vote, comment, or suggestion here!